Discover Shoreditch’s most vibrant Christmas attraction ‘Dinerama’ this festive season and experience a celebration unlike any other! Once a former bullion truck yard, this unique party venue is split across two levels, and boasts a 1000 person capacity to create the ultimate Christmas party playground! You’ll experience plenty of festive vibes from the moment you step into this quirky event space; think Christmas market meets a festival! The venue is roofed and water proofed and boasts log burners throughout, so get ready to feel all warm and cosy this Christmas season. With this incredible Christmas package, your group will enjoy exclusive hire of your very own room or the entire venue, where a cocktail or sparkling wine reception will be waiting for you on arrival. As for food, you’ll be spoiled with a truly dazzling array of independent food traders, offering sensational cuisine from across the globe. Some food traders which are expected this year include Club Mexicana, Fundi Pizza, Yumplings, You Doughnut and plenty more! Each guest will be provided with food tokens, which will enable them to indulge in the equivalent of one main and one side – the biggest decision on the night will be what food to spend your tokens on! A bar tab will also be available for each private party, which entitles guests to enjoy up to six drinks each during the night. With eight bars serving mulled wine, mulled cider, winter warmer cocktails and alcoholic-hot chocolates along with craft beers from around world, you will be spoiled for choice here! 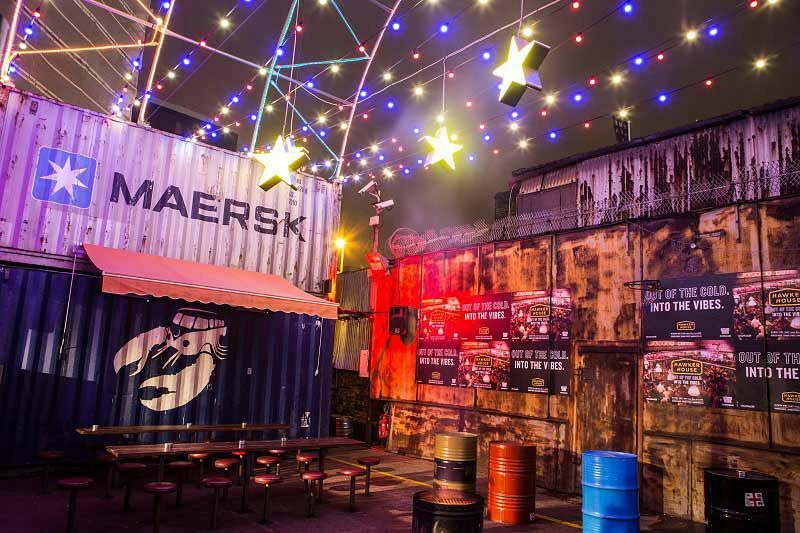 Dinerama truly is the ideal space to create a fantastic festival-style Christmas event – whether you’re after a small celebration for 20 people, or a larger scale event for up to 1000 people, you can count on this fantastic venue to provide an unforgettable evening for everyone! Additional add on's are available for an extra charge - choose from Entertainment acts, DJ's and further food and drink vouchers. Staffing, hosts and security will be provided on the night, all administration and event planning is included. 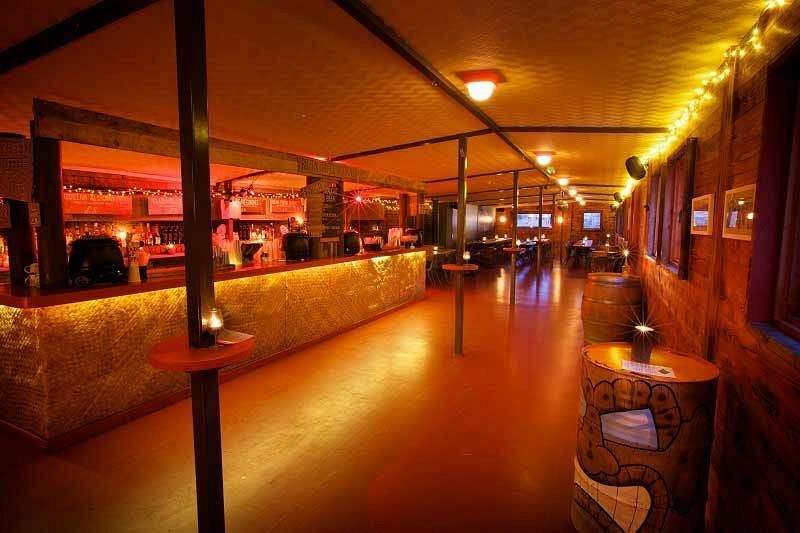 Whole Venue – Suitable for parties from 250 up to 1000 people. 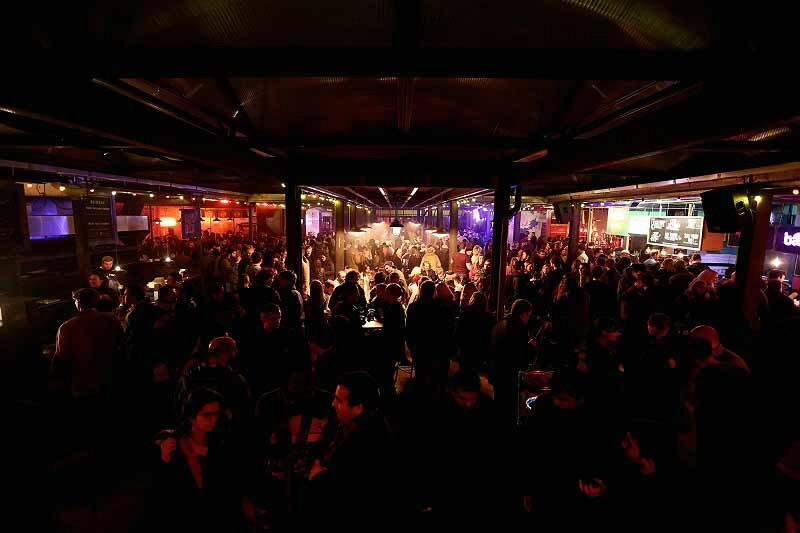 Two floors, five bars, 10 street food traders and one DJ – all yours! Available to hire Sunday – Wednesdays. Alpine Lodge - Log burning fires, mountain views and toast apres ski vibes. Perfect for parties from 100 to 200 people. Available to hire Thursday – Saturdays. Zephyr Bar – 50s British cocktail lounge, with a capacity of up to 230 people. Available to hire Thursday – Saturdays. Winerama – Our Cal-Italian wine garden, perfect for groups from 40 up to 70 people. Available to hire Thursday – Saturdays. 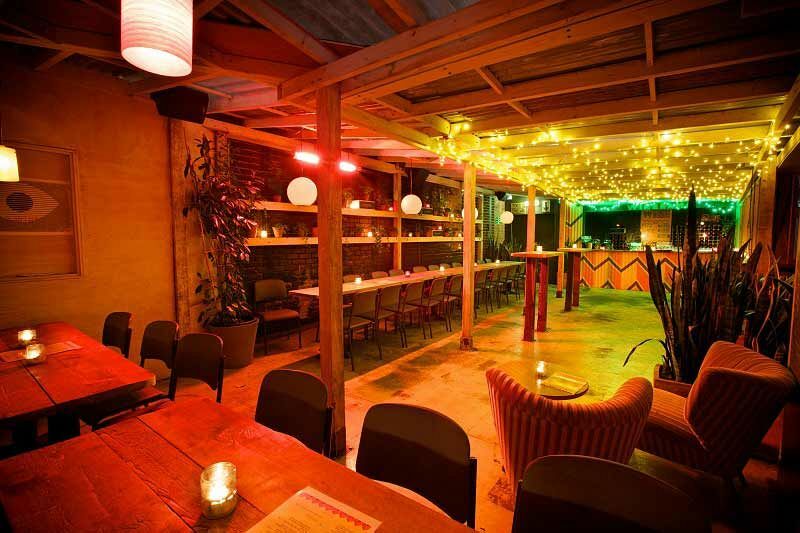 House of Bamboo – Our drinking den bang in the middle of the site, perfect for smaller groups of up to 30 people. Available to hire Thursday – Saturdays. Please note that the price of £45.00 per person excluding VAT is dependent on group size and the date selected. The venue is available for exclusive venue hire Sunday – Wednesdays, and room hire is available Wednesday – Saturdays.